How do you find your soul mate? There are several things to try, but likely there will be only one method that works for you. Isn't it true that when you find success, why keep on looking? At that point, it will be time to put away your trusty soul mate calculator. 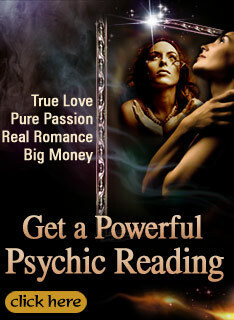 So here are a few tips and things to remember on your journey through soul mate astrology. Before you start searching, you should be able to describe exactly what you're searching for. It's very difficult to find an absolute definition for the term "soul mate." It's said that there may be just one ideal partner out there for you, one person who understands and identifies best with you, your dreams, the best and worst of your life, just one person who will love you unconditionally while you feel all the same emotions for this person in return. A soul mate should make it possible for us to believe that human beings really can mate for life. You're together for life, and it's also said that soul mates never really die - they just leave their bodies and drift off together to the next adventure. Well, we're talking about soul mate, not body mates, aren't we? So let's see what you can try in your own search. Soul mate astrology is the practice of utilizing astrological charts to determine the compatibility of two people, most often two people who recently met for the first time. You may think that this would be ruled out altogether by the phenomenon of "love at first sight," but that's not necessarily true. Yes, love at first sight is not a myth - it clearly happens to people. But this does not mean synastry should be discarded. Indeed, if you feel you've been "hit by the thunderbolt" of love, it's a very, very wise thing to investigate your feelings immediately with the compatibility chart exercise that synastry provides. Don't ever be afraid to take a closer look, because first impressions may deceive - it's been know to happen -- so think before you dive in head and feet first and just put together that chart! If you're new to this experiment, there's plenty of how-to information available for your comparison chart. But if you need help, you could consult an astrologer, who you can learn a lot from. For example, an astrologer will ask all the basic questions, starting with both your birthday and the birthday of your prospective soul mate. You could ask about the practice of "mid-point analysis" in which the halfway point between the constellation grid of your birth sign tell stories about the possible compatibility of your personalities. Or it can be as simple as looking at the Zodiac. For example, Pisces get on well with other Pisces, Aquarians are dodgy with Leos. If you go to astrologer you'll find that there are compatibility matches for every sign. Or check the Zodiac Love Matcher here on SpiritNow.com to check the compatibility of you horoscope sign and your lover's horoscope sign. Good luck, and we hope you find your love soul mate soon. Ye' of little faith. Finding a soulmate is not just handed to you. But if you are lucky enough, it will be the greatest thing you ever find, & will have no boundaries. I believe that in a lifetime there are many different people that we may encounter that can be considered a "soul mate". There is no such thing as a perfect match!!! Most people in this world just settle! Wow, you people need to relax. Of course Sylvia did not write this....Donna West did, it states that in the last sentence!!!? Sylvia did not write this. These are not her words. Can I get a name for my soul mate here on earth and when will we meet if we haven't already? I thought Sylvia didn't believe in soul mates. "Soul mate astrology is the practice of utilizing astrological charts to determine the compatibility of two people, most often two people who recently met for the first time. You may think that this would be ruled out altogether by the phenomenon of “love at first sight,” but that’s not necessarily true. Yes, love at first sight is not a myth – it clearly happens to people." I have read several books about it and can say I believe in it. What happens if my soul mate is married. Or lives a few states away from me. How do you know when you meet your soul mate? Very hard to believe. I do not think in these days which is a scientific world, people will trust astrology. What will happen if the astrology of my soul mate belongs to a foreign country. There are so many billions of people in this world. How will find the exact one for me? Is it possible?